Jamaica will always hold a special place in my heart. 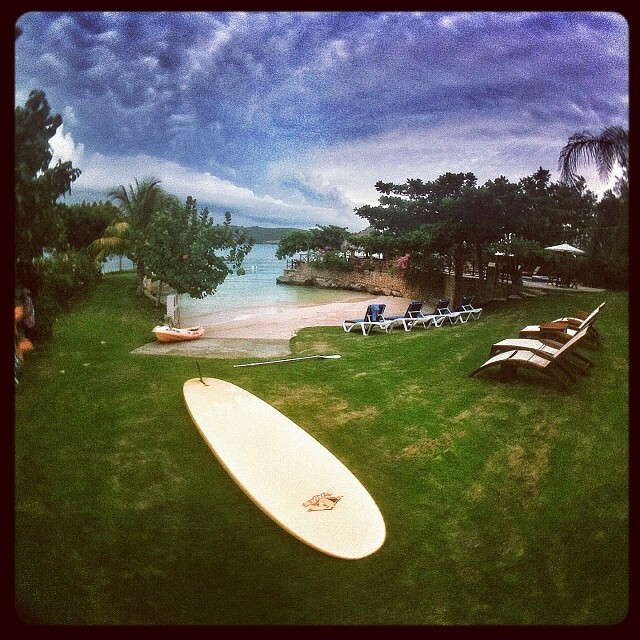 I first visited Jamaica almost 13 years ago and have since returned countless times….I’m hooked! There is just something about this island that speaks to me and keeps me coming back. The Jamaica Tourist Board used to use the slogan “Once you go, you know.” It’s true! I find it rare to speak with anyone who has only been to Jamaica once and not returned. It only takes one trip to realize the depth of this Island and this is what brings its guests back year after year. You can find a white sandy beach and a sunset anywhere in The Caribbean. Jamaica’s beauty runs on a much deeper level. I am a firm believer that the number one dynamic a destination can offer to its visitors to set itself apart from others, are the people and the level of service provided. From the moment we exited the plane in Montego Bay, before we even got to customs, we were greeted by two representatives from Club MoBay. The exceptional service provided by Club MoBay as they helped us skip lines directly to our own customs and immigrations officials was only matched by the warm smiles and bubbly personalities of the Club MoBay reps. This level of service, warmth, and hospitality continued for the duration of our stay. Over the course of 6 nights on the island, we stayed in 5 different villas and toured well over 30. Each of the properties we represent in Jamaica includes a full staff. While the variety of style and location fluctuated from villa to villa, the one constant was a friendly outgoing staff. For the duration of the trip, we didn’t have to lift a finger whilst in each villa. From a fresh cup of Blue Mountain Coffee in the morning until turn down service at night and many spectacular meals in between, we were definitely pampered. I know that there are other destinations that offer fully staffed villas, but what stood out to me was the consistency of how genuine the staff was at each house. You could tell that they loved their job and it almost felt as if they were showing off as to how well they could perform their job. The staff member from each villa who seemed to “show off” the most, was by far the chef for each property. If I didn’t get up early each morning to go to the gym, paddleboard or kayak, I would have surely gained 10 lbs. A typical breakfast included and abundance of fresh fruit, eggs, breads, bacon, ackee and saltfish. Lunches were always at least 3 courses and the ones that stood out consisted of local cuisine such as jerk chicken or fresh fish. Dinners lasted hours and at times it seemed as though the food would never stop coming. 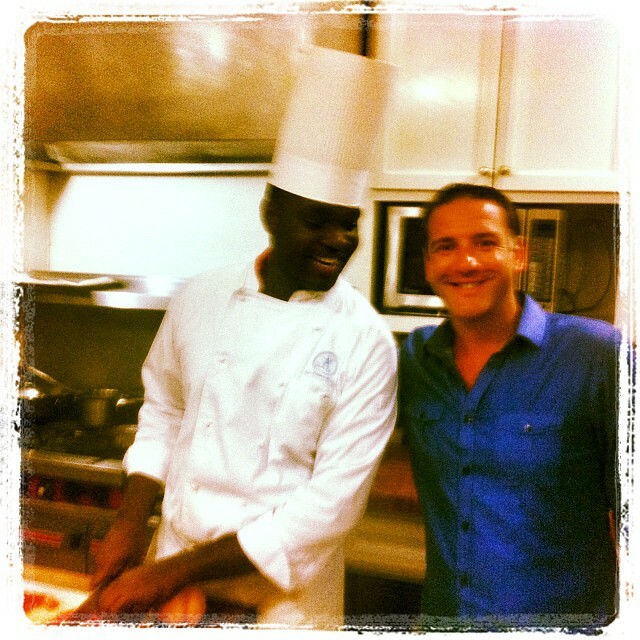 I was consistently reminded of the difference between a cook and a chef with every bite….these were definitely chefs! 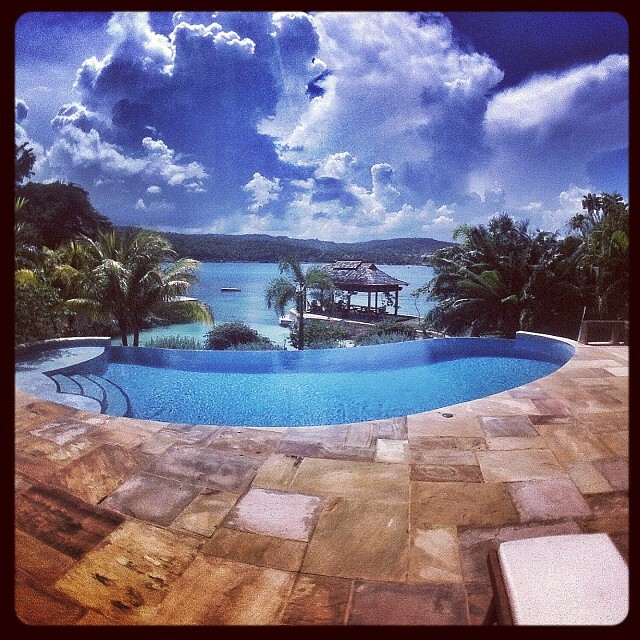 One of my favorite days of the trip was spent at Whispering Waters villa in Discovery Bay. We arrived in Discovery Bay (one hour east of Montego Bay) late in the afternoon. After a tour of the villa, I quickly changed into my board shorts to inspect the many toys this villa has to offer, which were neatly stacked next to the private pocket beach. I passed on the kayaks and many selections of floats and decided to give the stand-up paddleboard a try. What was meant to be a short paddle up the coast to look at a few villas from the water side, turned into an hour tour of the whole bay. As I circled the bay, I was greeted by many smiles and waves from locals and tourists alike. When I returned to the villa, I was met with a cold Red Stripe and freshly made hors d’oeuvres. Dinner that night was special. We had Surf and Turf served at a table on a point jutting into the crystal turquoise waters I had paddled across earlier that day. Just in front of our table, the staff had placed an underwater light. Small fish swarmed this light like moths to a flame with an occasional Barracuda passing which was met with ooohhs and aaahhs. After dinner we walked down a path lit by lumieres to the private beach next to us where the staff surprised us with a bonfire. Our attention was quickly diverted from the bonfire when we noticed that there was a putting green with 3 holes. We had a great evening showing off our putting skills…or lack there of. After all of this, what impressed me most, was when we got back to the villa and the staff had found the football game on TV! I typically don’t watch too much TV while traveling, but I was completely impressed by the fact that they found the Thursday night NFL game. Here are a few pictures from our trip for those of you who were not following me on instagram @SBHben. I only wish that my photographs could convey the warmth of the people we encountered everyday as it is the hospitality and kindness of her people that set Jamaica apart. 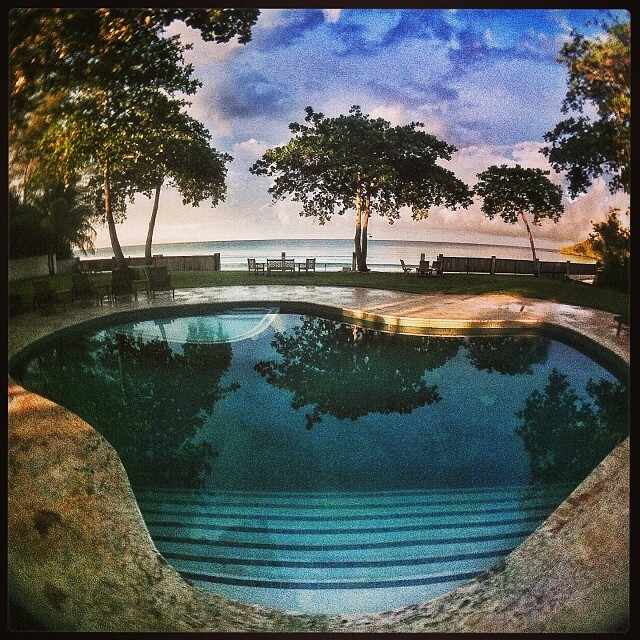 Of the 30 villas we visited in Jamaica, there were a few which stood out as my personal favorites.